I played in Cappelle la Grande in both 2009 and 2010, but I missed it this year. However, I did catch a few games from the TWIC daily game replayer, though, and a few caught my eye. 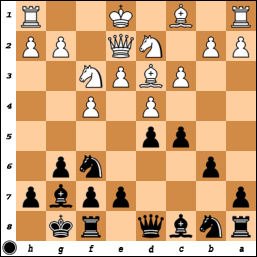 Black’s center is both impressive and rickety, but there isn’t an obvious blow to strike against the pawns. 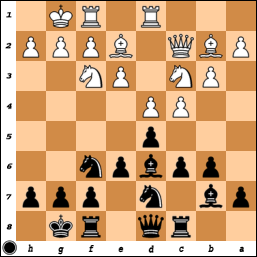 At the same time, if Black ever manages to develop properly, the pawns might cease to be a weakness. 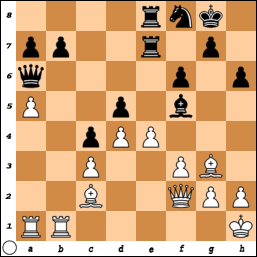 So how should White proceed? I’ve known Delchev for a few years now and while chess “understanding” is a tough thing to pin down, this is one example that he seems to have it. There was a great article in the NY Times about one of the chess fixture’s in the Bay Area: Michael Aigner. Take a look here for the full article. 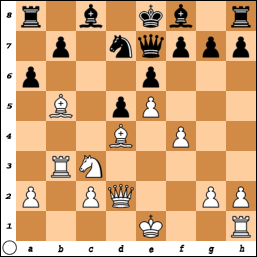 I played 8…a5 here, which seems to be an inaccuracy to me now. 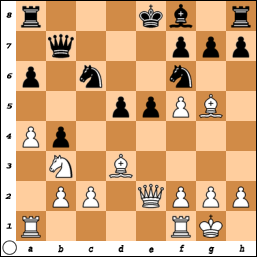 When facing the Stonewall setup, it’s normally a good idea to try and exchange the bishop not hampered by his own pawns, but there are a few points against …a5 here.